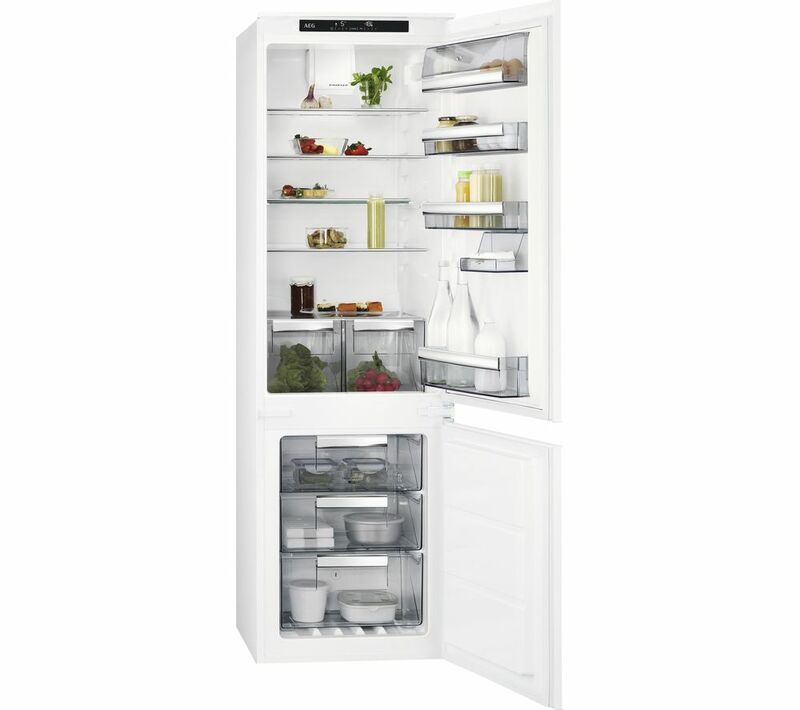 The AEG SCE8181VTS Integrated 70/30 Fridge Freezer‘s Frostmatic technology freezes fresh food quickly, so if you put in your foods as soon as you get back from the supermarket they'll stay tasty and retain all the nutrients they had when you bought them. 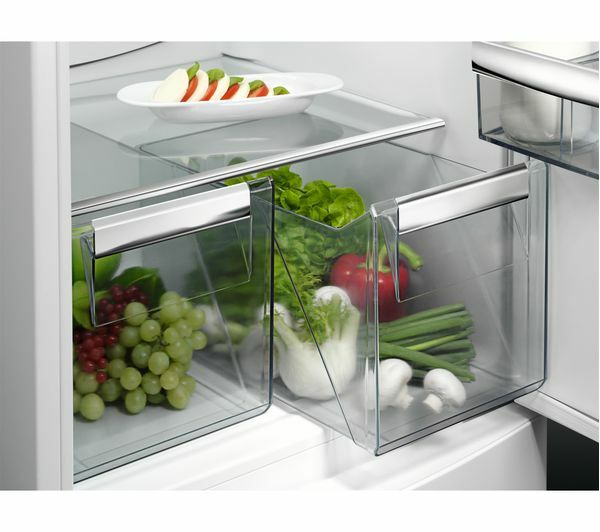 Great for fresh fruit and meat products. 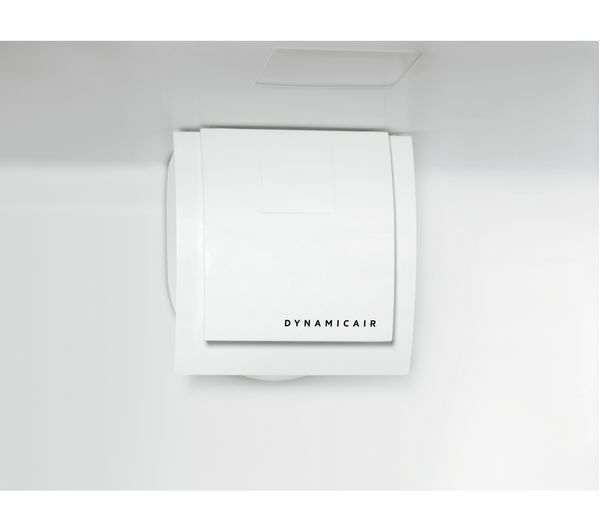 DynamicAir technology makes sure cool air flows throughout the fridge, keep the temperature consistent. 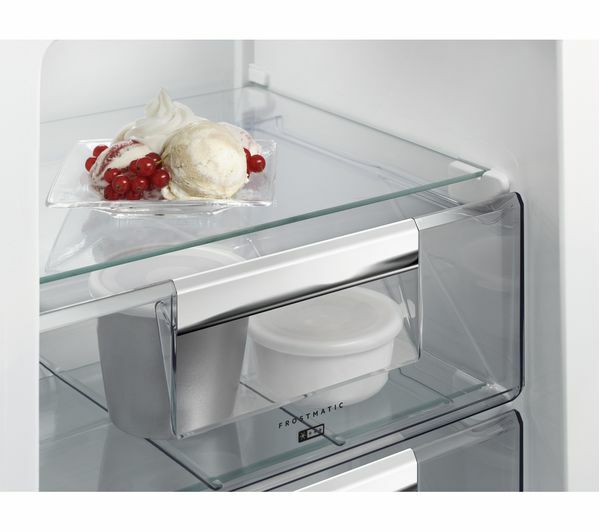 This way no matter where you put your foods everything will keep the same level of freshness. 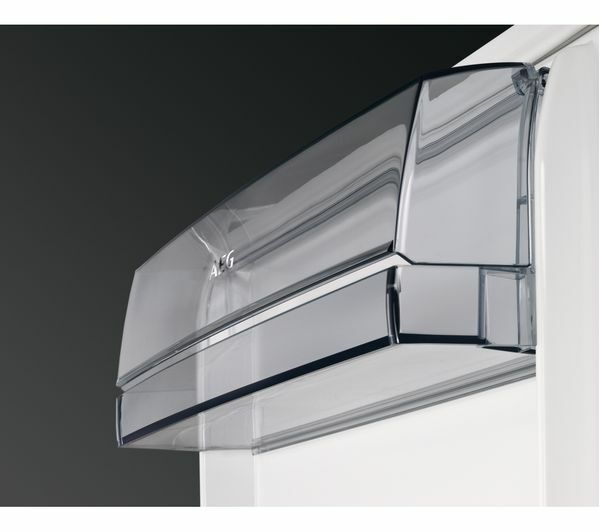 You'll also get versatile storage space thanks to the SCE8181VTS 's sliding door shelf, internal shelves and sapces for storing eggs, salads and more. Defrosting a freezer takes time and effort. Say goodbye to that job thanks to the AEG SCE8181VTS ‘s No Frost feature. No build-up of frost also means that your freezer will work more efficiently to make sure your food is always well preserved. 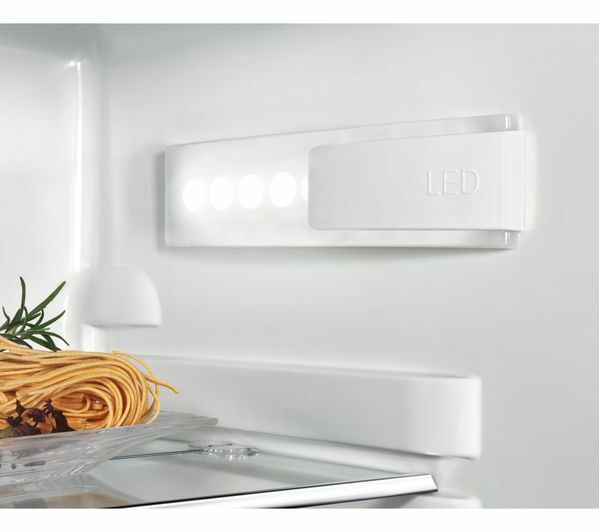 Your fridge freezer is easy to use too, with intuitive touch controls letting you adjust temperatures and change settings. Yes, kit included - hinged on right. 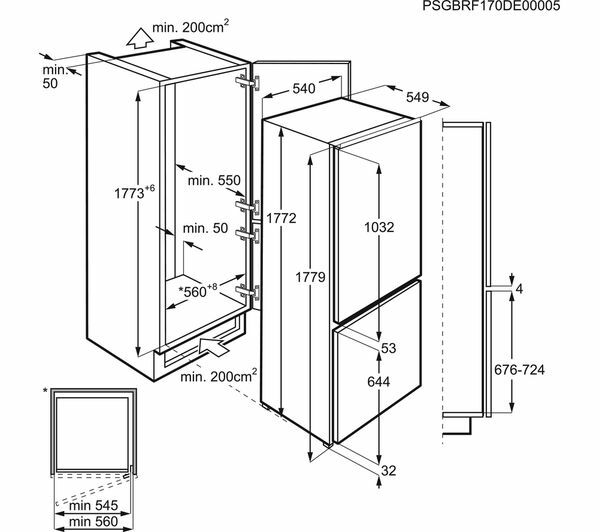 Please consult Team Knowhow or a qualified installation expert to carry out door reversal - select door reversal service when adding product to basket. Please note this product should be installed by a qualified engineer, such as one of our Team Knowhow experts.